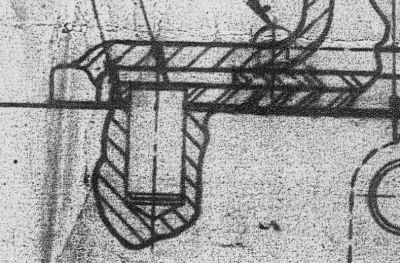 According to Jim,”This is from a microfilm of the original Ford blueprint from the Ford Archives. Note that it may be the same drawing as the one from Willys or Warner Gear but with a Ford title block. This was common at the time to do this. 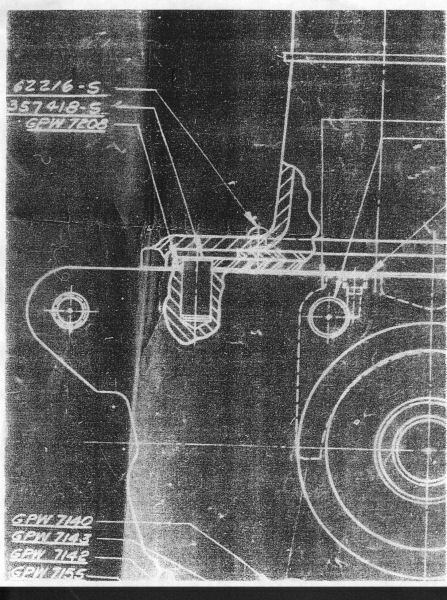 Note also that the spring washer is NOT shown in the blueprint.” This is a portion of Ford drawing number GPW-7000. On the left side of the drawing there are two numbers that concern us: 357418-S: Pin-trans. case to shift plate (from TM 10-1348, chg 1.) GPW 7208: Spring-trans. shift plate (from TM 10-1348, chg 1.) What is interesting is that the “Spring-trans. 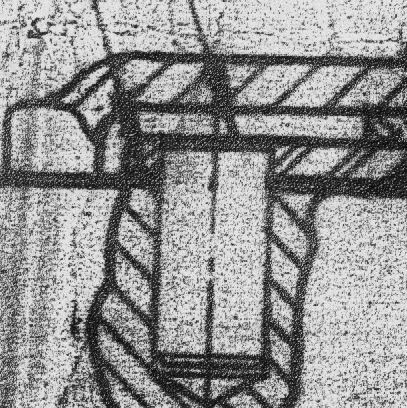 shift plate” or GPW-7208 is not shown in this drawing. Above, is an extract from the original print received from Jim Gilmore. Notice in this close-up it clear shows that the washer is missing! It’s not on the bottom as some would have you believe….and it is not on top in this drawing either. This detail surely debunks the notion that Ford drawing GPW-7000 contain anything more than marginal evidence that the washer goes underneath. There is an arrow but no washer has been drawn in. Jim has examined a number of Ford drawings. What is interesting is there are sometimes SEVERAL drawings of the same part with notes that say things like “obsolete” or “not used”. As Jim has told me, you can’t depend on a single source for evidence that something existed. Jim also said this about the spring, “Blueprint # GPW-7208 is for the spring washer. It is 11/64″ high, that is to say the bend or curve is 11/64″ in total height.” See more in the article, “Where Does The Wavy Washer Go?“.